I first saw Ardency Inn (founded by Gilles Kortzagadarian and Stephane Siboni and promoted by James Vincent) mentioned in the New York Times Style Magazine last spring. The packaging caught my eye, but the products weren’t widely available at the time and the name slipped from my mind. Then last month I was poking around the Sephora site trying to figure out how to update my email address, and there it was! Ardency Inn! Such an unusual name, no wonder I forgot it. ✚ For now at least, the Ardency Inn line is only available in-store at select Sephora locations (and online, of course), so if you run out and need a fresh tube, you’ll need to plan accordingly. ✚ As much as I like their logo, that distressed stencil typeface (not to mention the word “Punker”) is causing me small degree of emotional pain. I try to only look at the other, less offensive side of the tube when I’m applying it. That helps considerably. ✚ $24 is a lot to spend on mascara. But hey, it’s still a buck less than Diorshow! ✚ The entire Ardency Inn line is cruelty-free, as are their suppliers. ✚ The tube is chubby and easy to hold. ✚ After so many years of using mascara with now-commonplace silicone brushes, it initially felt strange to go back to a classic curved bristle style. The shape of the wand is perfect, though, and I find that as long as I let the curves of the brush follow the curve of my lash line, it’s very easy to hit even the tiniest hair without also getting mascara globs on my skin. ✚ There is absolutely NO flaking or fallout whatsoever, even after 14+ hours of wear. I also am not seeing any transfer to my eyelids, which has always been an issue for me with mascara. ✚ IT HOLDS A CURL!!! My number-one complaint with mascaras is that they go on too “wet,” and as a result I wind up losing all of the curl and having droopy lashes. That’s not the case here! I’ve actually found that it seems to add curl even if I skip the lash curler (which really only happens if I’m out of silicone pads). ✚ The formula dries really nicely, leaving my lashes feeling soft, not hard or brittle. ✚ I get really good volume and clump-free separation without having to use a lash comb. ✚ I can apply multiple coats if I want to, but one coat actually seems to be enough. ✚ The removal process is pain/tug-free: I don’t need an oil-based remover, it comes off completely with my nightly face wash. Less lash loss and less undereye trauma, hooray! ✚ My eyelashes look like JAZZ HANDS crossed with a house centipede! In other words, perfection. So there you have it! 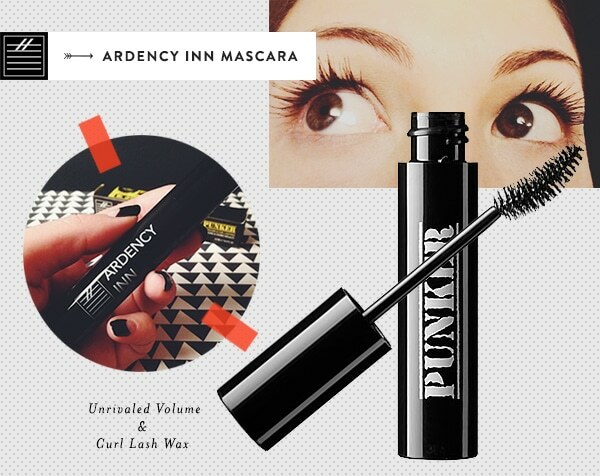 Ardency Inn Punker Unrivaled Volume & Curl Lash Wax (such a mouthful…), my mascara dream come true. I’m also trying out a few other Ardency Inn products right now (Ultra Lightweight Skin Perfecting Primer, Custom Coverage Concentrate and Smooth Ride Supercharged Eyeliner), but I need more time with them to decide if they’re life-changing. I’ll let you know! The best haircut I’ve ever had. Favorite patterns + textures + colors. This makes me wish I wore mascara. SO EXCITED. I am desperate for a good mascara. This is going on my shopping list, stat. Sephora usually has a Friends & Family sale in the fall, so this will definitely make its way into my online cart. I’m always looking for a good mascara. I just got a sample in a Birchbox this month that I tried for the first time this morning and it’s already a million times better than the standard pharmacy purchase. Not sure I can justify $24 on mascara, but I appreciate your suggestions always regardless of price. And oof, that typeface on the one side yuck! I am one to spend a good amount of money on make-up…mostly because I am a sucker for packaging – but this sounds awesome as well! totally want to try! BTW, LOVE your nails. Am know going to look back at previous posts (I’m behind!) to see if you discussed said awesome manicure! 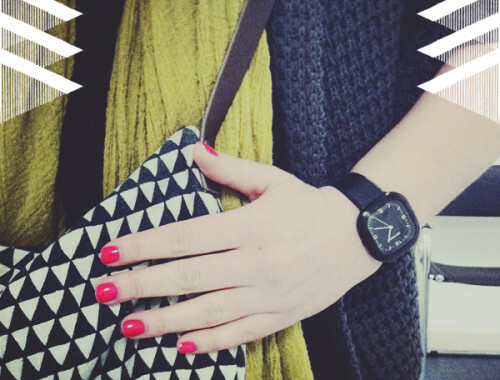 Also wondering your take on matte nails – are you an advocate? I’ve been getting Calgel manicures for about a year now, and I really, really love that my nails look good for at least 3-4 weeks…sometimes 5-6 weeks, if I do something like my current set where the new growth is less apparent next to clear gel. I still see the same woman, Sandy, but she’s moved from Sakura to Oh My Nails (also on the LES). I’ve tried matte nails a couple of times in the past, but I think they tend to look better in photos than in real life. I had too many issues with scuffing, etc., and they looked cruddy after a day or two. Ooh, I should check this out! I was a Diorshow fan, but then it seemed like they switched their formula and I found it was leaving residue under my eyes. So then I went to Urban Decay Big Fatty but when I purchased my last tube I learned, to my great disappointment, that they switched the brush to one of those silicone jimjams and I HATED it. Major clumping! Now I’m back on Diorshow but I am not 100% stoked. I got a sample of They’re Real by Benefit and liked that too. I did find out after my Big Fatty disappointment that Sephora will take returns on used products if you are unhappy with them, which is good to know when you are spending a small fortune. 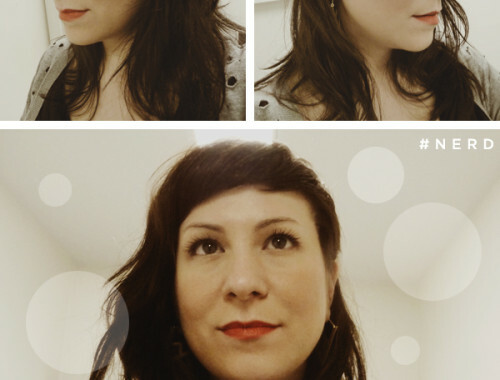 I tried Benefit’s They’re Real right before the Ardency Inn’s mascara, and I was not impressed. It wasn’t the worst I’ve tried, but I had too many issues with clumping at the ends of my lashes…and I don’t like that weird ball-tipped wand, either. I’m glad I’m not the only person who noticed the change in Diorshow’s formula. I was never sure if it was my body chemistry or something, but it was like from one tube to the next I went from love to hate. So smudgy! Butting in to agree…that Benefit one is just AWFUL. Thanks for sharing! I recently discovered Bobbi Brown Everything Mascara and it is also great. I am a huge fan of the old school brush and it’s harder and harder to come by. Ooo. I have super fair skin and always seem to have issues with flaking and falling. I am currently using the new waterproof formula from Clinique. I really, really like it, but I do with it would hold curl just a bit more. I’m definitely going to have to check out this formula. Your lashes look AMAZING. Sigh, I was worried that it only came in black, and it does. Being a real blond, I need brown or at least brown/black to not look like I’m on stage, but in some ways I’m glad this is not a temptation, since it sounds so up my alley in other ways, because I’m trying to go the more natural route with my personal care products, but I’m finding Mascara to be ones of the hardest ones to replace! Thanks for the update though Anna! I’ve always wondered why mascara comes in any shades other than black, but I guess that’s because I have no idea what it’s like to have fair hair! I must say I do think that fair-haired women (like, say, Mia Farrow) look amazing with black lashes, but I admittedly tend to prefer the less-natural-looking side of things when it comes to eye makeup. aaahhhhhh i can’t wait to try this! i have been looking for a new mascara since my favorite (tarte 4 day lash stain) was discontinued. i agree with you that my #1 complaint is not being able to hold a curl and being too wet so this is very exciting! i actually do not like the weird silicone brushes so am glad to see it has a normal one. the only other mascara i’ve found that i can tolerate is maybelline falsies but it’s still a teensy bit on the wet side for my taste. can’t wait to try this! So apparently I’ve been reading your blog for at least five years, because I distinctly remember that post! 🙂 I scooped up all the Max Factor while it was still available, and then moved to Cover GIrl as was suggested by MF. I’m sure you tried the Cover Girl too, but you didn’t like it? I’m a fan – the brush is very similar to the Max Factor one, and the price is right. But, since you led me to my current mascara, I will definitely try Ardency Inn! Cover Girl Lash Blast (orange tube) is what I’d mostly been using since MF went under, but I was never in love with it — and it’s SUCH a pain to remove. I’m also making an effort to use cruelty-free products as much as possible, so I’m happy to step away from Procter & Gamble. Ohhh, love hearing about new (to me) cruelty free lines. Thanks for sharing! My eyes tend to well up with a stray tear or two from a breeze, especially during the colder months. There is nothing that says “waterproof” in the product info–any advice on a great waterproof mascara? Do you think Punker would be prone to run? Thanks! Joy, it’s definitely not waterproof since I can remove it with face wash, but I’d describe it as water-resistant. When I splash my face with plain water, it doesn’t immediately run. That said, I also have the teary-eye problem in the winter, and I’ve always gravitated toward waterproof formulas for that reason. I’ll have to update once I’ve had experience with watering eyes and this mascara! Joy, try Blinc mascara. It’s so-called “tube technology,” meaning that it forms a solid tube around each eyelash and doesn’t budge. To remove, splash your eyes with water and it comes off (in little spidery bunches, which is a bit freaky, but it ALL comes off with minimal wiping or pulling). It’s available at Sephora (and online at Sephora’s website). I feel the need to step in here and say that Blinc is the absolute WORST mascara I have ever used. It made me look like I had fewer eyelashes, and pull every last bit of curl out. Is rather wear no mascara! Awful, awful. After Max Factor went under, I went through a long period of being disappointed by mascara. Nothing could replace my beloved 2000 Calorie Waterproof, but I have found a good substitute: Cover Girl Professional Waterproof (in the darkest black shade). It’s a dry formula that holds curl, doesn’t smudge or flake, and doesn’t irritate my eyes. Before that, I tried Lash Blast (too wet! ), Scandaleyes from Rimmel (too wet! too clumpy! ), and some random mascara from Almay, all with underwhelming results. I’m tempted to try the Ardency Inn products the next time I’m in Sephora. I hesitate to spend $24 on mascara, but I do have a weak spot for luxurious makeup. LOL on the typeface and use of the word “punker” – that was literally the first thing I thought when I looked at your photo! I know, it’s so unfortunate! And I get what they were going for, it’s just…not well done. by the way — if you truly must go without the bad logo, you might be able to remove it with nail polish remover. I have been known to do this from time to time. yes, I care that much about the packaging I have to look at! The last mascara I loved was the Max Factor you recommended, and I’m embarrassed of my reaction when it was discontinued. The only mascara I loved before that was from Avon, of all places, and that also was also discontinued. That one was so awesome that I actually scoured ebay for tubes until I freaked myself out thinking about shady sellers and germs. Since then, I’ve been getting by on tubes of meh. Totally buying this, 2004 distressed typeface notwithstanding. Yikes! Yeah, vintage mascara is where I draw the line, haha. I think you’ll like this — let me know! Wow. After linking to this very welcome post (still searching for a replacement for Fiberwig since they changed their formula), I went over to Sephora and was entranced by the concept (mascara based on the idea of light hold hair wax…so sensible!). Naturally, I immediately threw this in my basket…along with an AI lipstick in Ladder 15. I’m still looking for a lipstick that doesn’t feather or irritate my lips (Lipstick Queen, MAC, and even Aveda all do) so I’m dying to try Ardency Inn! All five-star reviews…and seemingly “matte yet creamy.” A girl can dream, right? Just in time! Gave up lash extensions, which look amazing, but only for a while. And it’s not fun to consider the cost per each fallen lash. Punker, here I come. Thanks. That’s pretty much what I’ve heard about lash extensions — they look great until they don’t! Such long lashes! Also, I really want to see more of your nails. I really need nail insperation that is minimal and fresh! Are you on Instagram? I don’t usually blog my manicures (maybe I should?? ), but I always IG them. 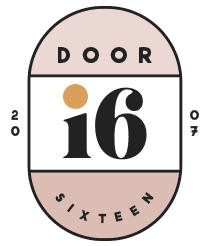 I’m @doorsixteen. 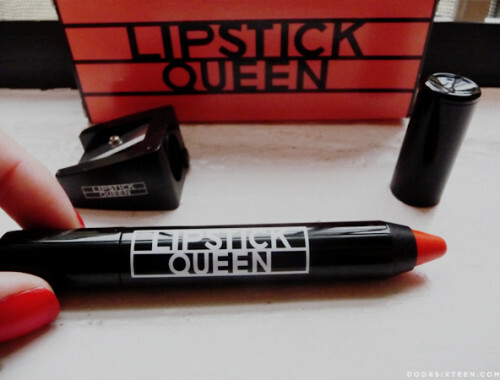 Check out Lipstick Queen’s ‘Chinatown’ glossy pencils in the ‘Genre’ color, it has a great bold color like your MAC lipstick, but super creamy and better coverage! It’s much sheerer than the MAC lipstick, though — it’s like a lipgloss. Lady Danger is completely opaque and matte. Funny. Just today I was thinking about getting new mascara and was going to look up your old post. So excited to try this brand! That was great post, Well one of my friends was also looking for mascara and here i foeund it. Thanks a ton. Oh man, I love me some Diorshow, but I’m always up for trying something new, and your lashes look amazzzzing. I’ve spent so much money trying makeup for my wedding, they upgraded me to some special form of VIB status with free 2 day shipping online anytime, so that’s pathetic and awesome. I should probably be embarrassed at the excess but I’ve used Diorshow (raccoon eyes), Bobbi Brown (not long lasting, upper eye markage), Clinique (too wet), Maybelline (too wet and didn’t separate lashes), Almay (raccoon eyes and yet also hard to remove), Cover Girl (clumpy), Rimmel (too wet, clumpy, smudgey, and stupid magic wand for applying). I had settled on Lancôme Definicils Waterproof which was mostly good but hard to remove. I am almost at the bottom of that and appreciate the solid recommendation! My mascara reject list is surpassed only by my concealer reject list! It’s truly shameful. Oooh I will definitely have to add this to the wish list for my next trip to the States. My holy grail mascara (to date) is Lancome Virtuouse, which has a similar spoon shaped brush and does well with holding a curl. However the formula is ever so slightly on the too wet side so this sounds like it could be a good alternative – thanks for sharing. oh, this sounds lush! i am such a sucker or mascaras. a date to sephora soon is a must! Wow. Just tried this and it’s amazing. My eyes don’t feel like they are burning or wet, great coverage and such a light but effective formula. I hated wearing mascara but suffered through it since I have light brown lashes. Thanks for the great recommendation. I am even wearing it on the weekend which I NEVER used to like to. Quick question from another huge mascara fan: just applied this for the first time with high hopes… definitely I like the fullness – very nice! But the mascara is very dry and I didn’t see a lot of lengthening – not what I’d expected. Lashes appear a bit fuzzy. Can anyone comment? Have I purchased an old tube or do these characteristics seem in keeping with your experiences? Thanks, Mascara fans! Jen, I haven’t experienced any fuzziness (if by that you mean clumping? ), but I definitely wouldn’t describe this as a lengthening mascara — but then I personally tend to not like lengthening formula since I already have really long (but sparse) lashes. I’m a volume-loving kinda gal. I also tend to like “dry” formulas like this one, since wet mascaras pull out the curl. Without being able to try your tube I can’t tell you if yours is different from mine, of course. Next time you put it on, try doing one quick, even coat rather than doing the whole “wiggle + build” thing. I find that with this mascara I don’t really even need two coats or special application techniques. I just let the mascara do the work! Thanks, Anna. I appreciate your rigorous approach to mascara-wearing [necessary!] It sounds like my tube is right on track. Thinking back I definitely wiggled-to-build (oops) without realizing and lashes became kind of thick. Will apply a quick even coat tomorrow morning and will surely be thinking of you and your readers while doing so! Thanks again for the input and the hot tip. Actually, 9th Ave I think. I just cross checked the list on googlemaps and it looks like I’m out of luck! The 9th Ave one isn’t on there. No dancing centipede eyes for me! Jazz hands x centipede!? I’m in. Because of your post, this mascara somehow “fell into my cart” during the Sephora 20% off sale. Your description is spot on and it is now totally my favorite. Thanks!